A remarkable Universal Temp. fluoro-polymer wax for Nordic or Alpine use; providing super control and ease of turns, dramatic increase in glide and great durability. Quick/simple application with enough high-performance to be a terrific "second run" race prep. 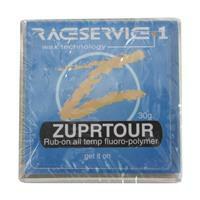 From cold man-made snow to summer glaciers or the Swiss Alps, all who've tried it say the same thing: "Zupr!" 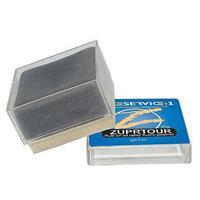 In sturdy, ergonomic box with felt polisher, fits easily in vest or jacket pocket; one block prepares approx. 30 pr. Alpine or 40-50 pr. Nordic skis. Just rub-on, felt-polish. 30g Rub-on block. Great small brick of rub on wax to keep in your pocket while out on the mountain. If you're not in need of a tune up but feel as if your skis are slowing down, apply this way between runs for faster gliding. I carry this on me no matter where I'm riding. I truly believe it's the best all temp, rub on wax out there. It's very easy to apply and it will have you cruising at high speeds!! Want a glide wax that is easy to apply, isn't messy and lets your ski or board rip thru the snow. Just rub it on the base and buff it with the felt and hit the slopes. 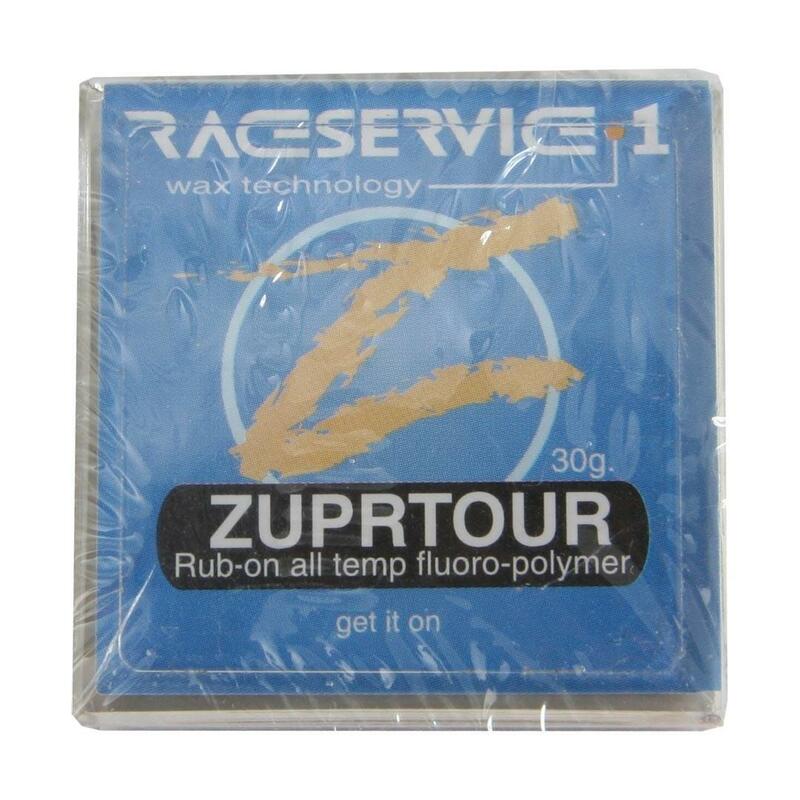 A melt on wax is longer lasting and faster than a rub on wax but when you don't have time or the tools to do it, Zurptour rub on wax is the next best thing. Out of all the other rub on waxes i have tried this surpasses all of them. This is the best glide wax that I've used. All you have to do is rub it on, buff it in with the felt pad on the case and off you go. It also is small enough that you can keep it in your jacket pocket with ease.